“Some things cannot be agreed unless they are agreed together as a package,” Greece’s Foreign Minister Euclid Tsakalotos said on Thursday, replying to criticism about alleged delays in implementing measures for concluding the 2nd review of Greece’s program. Replying to main opposition New Democracy leader Kyriakos Mitsotakis, Tsakalotos said that the ‘delays’ only concerned the final third of measures, which were currently the focus of a political negotiation with the institutions. As such, he added, it was logical that they were neither agreed upon, nor legislated for. “Over one-third of the agreement is fully completed. A second third and perhaps a little more is absolutely agreed with the institutions and we are in the implementation phase with laws, ministerial decisions, circulars etc. The last part is under political negotiation with the institutions…” he said. He accused Mitsotakis of failing to understand the “dynamics” of the negotiations, pointing out that not only the Greek government but also the International Monetary Fund and Eurogroup President Jeroen Dijsselbloem had all officially stated that some things had to be agreed on as a “package.”“It is therefore logical that the Greek government cannot reveal its ‘cards’ until the other side does the same. In any case, only extreme voices consider that the Greek government is responsible for the delays,” he added. 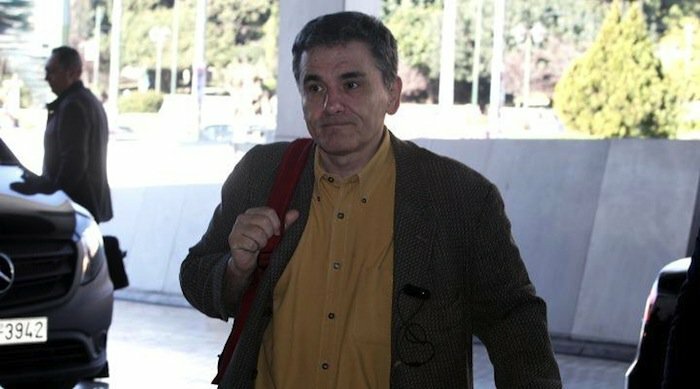 The main opposition, Tsakalotos added, had not clarified its own position or suggested the measures on which it thinks the government should compromise in order to conclude the second review. “Mitsotakis, despite being challenged yesterday in Parliament by the prime minister, refused to commit to aligning himself to the national line, which says that we cannot accept the unreasonable demands of the IMF. Unless he personally thinks it right that they should ask us for additional measures when we have a 2% surplus!” Tsakalotos concluded.